The last two blog items have considered proposals for making the disputes resolution activities of the county court and the property tribunal in relation to housing matters work more coherently. But for many people, the very idea of going to a court (or tribunal) is daunting. 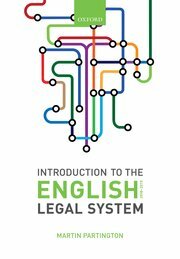 Increasingly, governments use non-court avenues for redress, where this can be done cost-effectively and in a way which promotes access to justice – in the broad sense of access to a service that will take an independent look at a dispute and resolve it. The outstanding example is in the field of financial services, where the Financial Services Ombudsman offers a dispute resolution service across the financial services sector. In relation to housing disputes, the problem is rather different. There are a number of different complaints handlers – so many, in fact, that members of the public often don’t know which route to resolution to take. The Government has been concerned about this issue for sometime. In January 2019, the Secretary of State announced that he would be bringing forward legislation to create a single Housing Complaints Resolution Service which will become the single port of entry – for both owner occupiers and renters – with disputes they wish to have resolved. From broken boilers to cracks in the wall, the new Housing Complaints Resolution Service will potentially help millions by providing a straight-forward way of getting help when faced with unresolved disputes about problems with their home – such as repairs and maintenance. One feature of the new service is that all Private Landlords – who currently do not have to belong to a redress scheme – will be required to sign up – with penalties for failure to do so. In addition the government has announced that there will be a New Homes Ombudsman, to resolve complaints about the condition of new homes. These changes will not happen overnight – they will require legislation. The details of the Housing Complaints Resolution Service will be developed with a new Redress Reform Working Group made up of representatives from across the sector, working with industry and consumers. I will keep an eye on these developments as the details emerge.